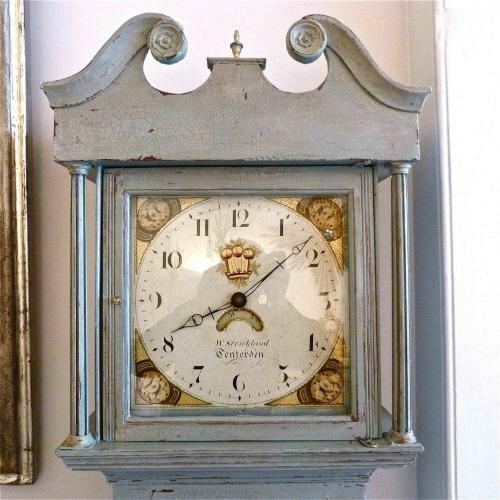 Very decorative early 19th century 30 hour English oak longcase clock with original painted dial that strikes the hour on the hour. Made by master clockmaker William Strickland in Tenterden, Kent around 1820. In perfect working order this clock comes with a one years free movement guarantee.